Stuart Miles works in the aesthetics of type, image, and relationship, having supported a variety of organizations in discerning and disseminating their identity. Most recently, Stuart co-founded onesixtyfive, an Ottawa consultancy that creates distinctive media for organizations in response to their graced identities. 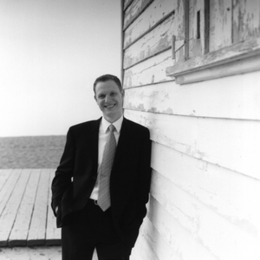 Prior to the new venture, Stuart was chief executive officer of the Toronto based consulting firm Detour Inc., which focused on helping companies maximize the potential of their brands. He pioneered and trademarked an elaborate process called Brand Enabling, which sees a brand not as an end in itself but rather a means to achieving vibrant and committed relationships. In addition to leading Detour, Stuart has served as the executive director of the Canadian Shaare Zedek Hospital Foundation as well as national brand manager for Oxford Properties Group in Toronto. He also spent two years as general manager of the Engine Room Design Studio for Steelcase in Grand Rapids, Michigan, where he built and managed a 12-person communications studio servicing a global sales team. In his free time, Stuart enjoys volunteering with his church, spending time with his wife and 3 children, as well as coaching a young boys competitive basketball team.